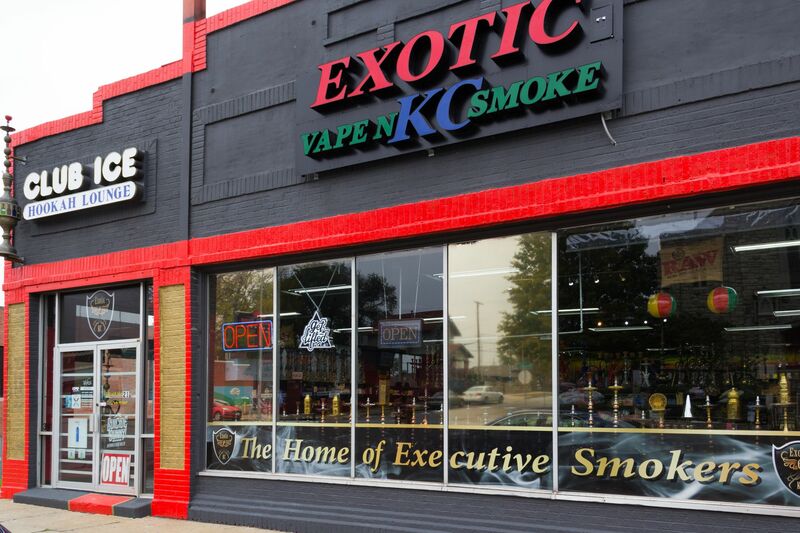 E-juices / E Liquid, we provide here at Exotic Kc are personally selected through our staff and our customer recommendations. Our selection contains a variety of flavor profiles ranging from categories such breakfast flavors, bakery flavors, tropical fruits and savory dessert. With the help of our digital menu, we can help you find the flavor you are craving organizing our juice by brands, categories and specific ingredients. Ripe Vapes is a lighthearted, uplifting series of e-liquids that will wake you up with a refreshing, cool flavor. Pear Almond and Honeysuckle Apple Crisp are among their most successful flavors, but they have other equally airy and soft flavors in their collection. The delicate tree logo spreading its way across their bottles gives this brand the feel of an outdoorsy, woodland paradise. Take in a gentle draw of one of these lightly sweet flavors and breathe out all your worries. Naked 100 Ejuice has quickly become one of the most loved lines in the vape community. The quality of this liquid is immediately apparent when you taste any of their delectable flavors. From iconic and familiar tastes, to complex and exotic, this line leaves nothing to be desired. So, fill up your tank with any of the eliquids this brand offers, it will surely be love at first vape. Pinup Vapors is sweeping the nation with their truly great flavors. People are going crazy for this e juice line. With their beautifully mastered creations, uniquely fabulous flavors that take the ultimate bases and give them a twist, and gorgeous labels, Pinup Vapors has created the best lines of all day vapes that you will fall in love with. Bomb Sauce Premium E-Liquid was founded in Atlanta, Georgia in 2012 with one goal in mind: To provide our customers with an amazing product that they will never tired from it. Our flavors are all made with the highest standard of ingredients. We ensure all our flavors have MSDS Reports and that they are all tested for contaminants. With a core focus on quality and vapor production, Naked Fish was designed with the sub-ohm vaper in mind, using only Kosher grade ingredients and high-grade aluminum bottles Naked fish is making a splash. Zen Master, Wisdom, Namaste, Karma, and Nirvana. The flavor profiles consist of unique refreshing blends such as: Coconut/Mango/Pineapple, Green Tea with Honey, Tropical Lemonade, and Watermelon Berry and Menthol. Founded in 2014 – kilo e-liquids, a world renowned premium e-liquids brand represents the greater freedom of expression through unique ideas and tastes while retaining its own iconic style and originality.The line has grown to a full complex collection of 5 distinct flavor profiles born under the kilo legacy; each flavor coveted by a new breed of evolutionary influences. Islander is an American e-juice company that is committed to offering not only exceptionally delicious flavor, but also an uplifting vaping experience as well. Made wholly with 100% USA-made food-grade and pharmaceutical-grade ingredients, Islander’s line of exotic blends represents unsurpassed e-juice perfection. Established in 2014, Old Fashioned Elixir (OFE) was created by vaping enthusiasts who have a very deep passion for the industry. Having watched the rapid growth and development of hardware and e-juices alike, their passion turned into a mission—to provide the very best tasting and highest quality e-juices available. For all the Ice Pop lovers out there, you can now fall into our “Pop Cycle” and go a for a wild ride through our mouth water line of Ice Pop Flavors; Vanilla Caramel Pop, Chocolate Ice Pop, and Berry Ice Pop ! EVERY BOTTLE OF GÖST E-LIQUID IS MADE FROM THE VERY BEST AND FINEST INGREDIENTS. OUR E-LIQUID IS LAB-MADE IN CALIFORNIA AND OUR FLAVORS ARE MASTERFULLY CURATED BY VAPE CONNOISSEURS LIKE YOURSELF. Fruit By The Ounce is a relatively new company that made some simple yet delicious e juices for you to choose from. They are one of the newest listings to our Juice category. As of now we carry three different premium e cig juices by them. All of their names match their flavor profiles perfectly. There is Peach Lemonade, Strawberry Guava, and Blueberry Pomegrante. Cuttwood is the household name of the vaping world. One of the longest standing and recognized brands on the market today. Cuttwood prides itself on providing quality made products. Cookie Monsta ejuice by Ruthless E-Juice is packed with freshly baked chocolate chip cookies, fluffy marshmallows, and glazed donuts. The dessert overload flavor combines three staple flavors into one delicious flavored eliquid.Ruthless Cookie Monsta e juice provides chewy chocolate chip cookies on the inhale with a touch of marshmallow cream and fresh sugary doughnuts on the exhale. All Apsire e-liquids and e–juices are handcrafted in California. Premium quality that will exceed all your expectations. Cake pop is a replica of the cake on the go lollipops that became of sensation.Cake pop takes a soft flavor center with strawberry icing flavors that bring it all together. In terms of cake and dessert vapes,Cake pop take the best part of the cake pop and enhances them to create a rich flavor profile that will impress even those who might not typically enjoy cake flavored e ilquid. Fresh E liquid is an Ultra Premium American Ejuice company that specializes in the creation of gourmet vape juice. Fresh Ejuice prides itself in providing high. Brewed and bottled in Los Angeles, California, FRYD liquidsbrings three carnival-styled treats: FRYD Banana, FRYD Cookies & Cream and FRYD Watermelon. Tingle your senses with the delicious flavors of your favorite boardwalk treats! The flavors of Kalar Prime vape juice are as diverse as they are delightful. You can inhale spicy, sweet, creamy or buttery tastes, which become more satisfying with every draw. Kalari’s expert blending and aging process ensures that every puff has the perfect balance of nicotine and flavor. I Love Popcorn by Mad Hatter Juice is a delicious gourmet theater favorites, a perfectly balanced flavor of crispy and fresh popcorn covered with sweet, melted butter. Once upon a time this drink was considered exotic, but these days there’s an Indian restaurant in every large, medium, (and most) small cities in America. Needless to say, Teleos is very fond of this beverage and hopes you are as well. Moo E-Juice. Moo E-Liquids is a premium liquid collection, manufactured by Kilo E-Liquids. The Moo E-Liquidscollection contains four flavors: Strawberry Milk, Banana Milk, Vanilla Almond Milk and Neapolitan. Beard Vape Co Premium eLiquids – Punch E-Juice is a powerful blast of refreshing fruit punch perfect for any sunny day. Space Jam Premium E-Liquid was created with the goal of providing an overall better vaping experience than that of the existing E-Liquids that were widely available in the market. Founded in San Francisco, California. A brand of 4 unique flavors designed to please all vaping palates. Hoochie – Strawberry Lychee mixed with exotic fruits. Cakey – Crisp yet cream strawberry wafer. The V- Vanilla toffee ice cream with whipped cream. Breezy – Exotic fruits on ice. Chocolate Hazelnut by Vape Crepe takes you on a mesmerizing journey with a nutty chocolate hazelnut on top of a creamy crepe base. Layers and layers of Nutella-like flavor profile for a savoring dessert blend. Manufactured by Ruthless. Blueberry and strawberry parfait have been timeless classics throughout the morning hours. It is about time we were able to vape them! Try Vape Parfait and see what the buzz is all about!